Place an apple slice on the sugared side and wrap the crescent dough around the apple slice. I could smell the apples and cinnamon as it baked in the oven. These came out warm, soft, and delicious. 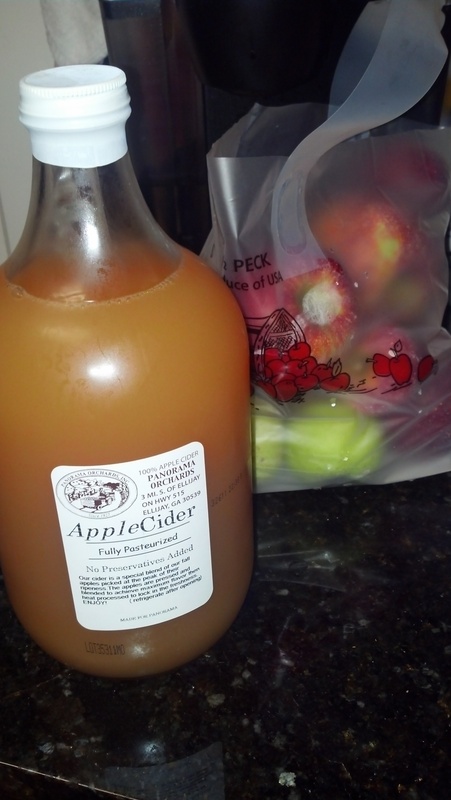 This is probably my favorite of all of the apple experiments I have tried this fall season. Plus it is super easy to make! Enjoy! I have never been to state fair (at least not one that I remember) and so I was intrigued when I learned about the Ga National Fair. The fair was about 2 hours south of Atlanta and would normally have been too far of a distance to justify driving for just a fair. But, we also made plans to visit a friend in the area so I was more open to the idea. 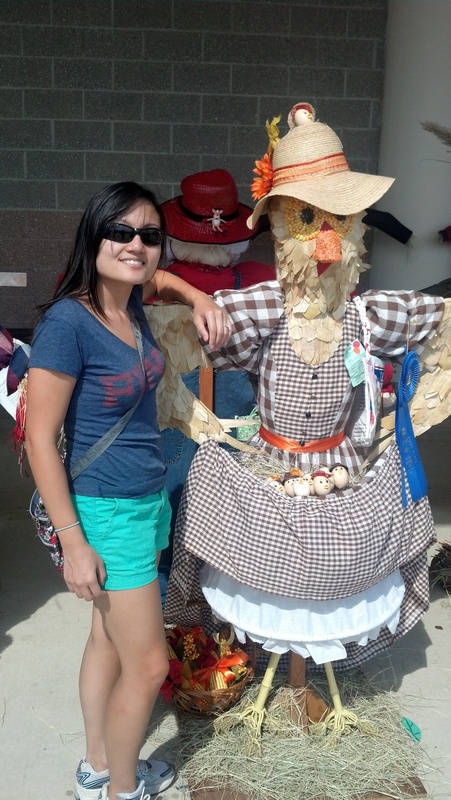 It was neat to see the animals, browse the local stands, and snack on fair food. I avoided the rides/games are since it seemed to be packed with lots of families and their kids. 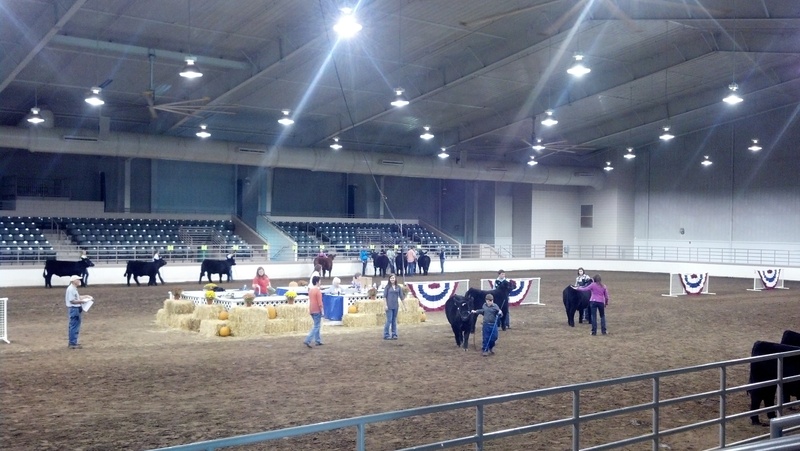 We ended up watching a cow showing (I didn’t even know they did this). The cows were well-groomed making them look really fluffy and cute up close. After walking around for a few hours, I was ready to head back home to Atlanta. On the way home, I tried thinking of another dish to use more of the apples. 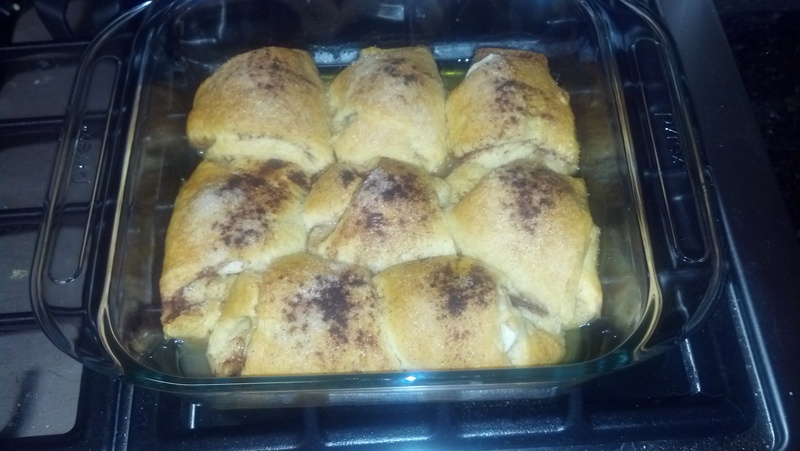 Since the baked apples were a tasty after dinner dessert, I decided to try something similar…easy apple cobbler. I ended up seeing this recipe at food.com and made my own adjustments. 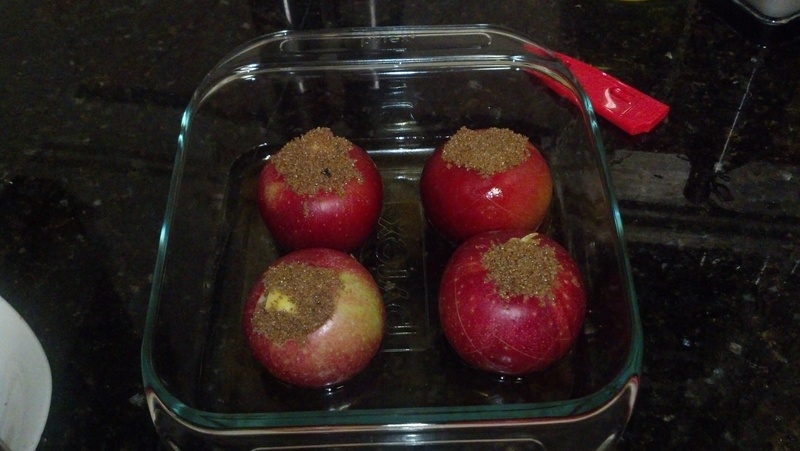 Put apples in a lightly greased 8×8 inch baking dish. Mix flour, sugar, cinnamon and egg. Sorry, there is no picture. Eric ended up eating nearly half before I could even take picture! It was tasty, though, and that is the most important part! 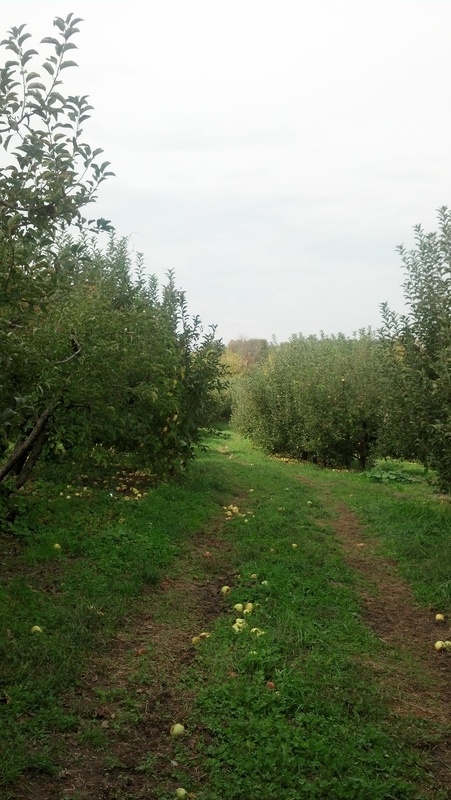 Lately, I’ve spent some time brainstorming ways to prepare my fresh apples from the orchards. I wanted to try something simpler for this first go with the apples. 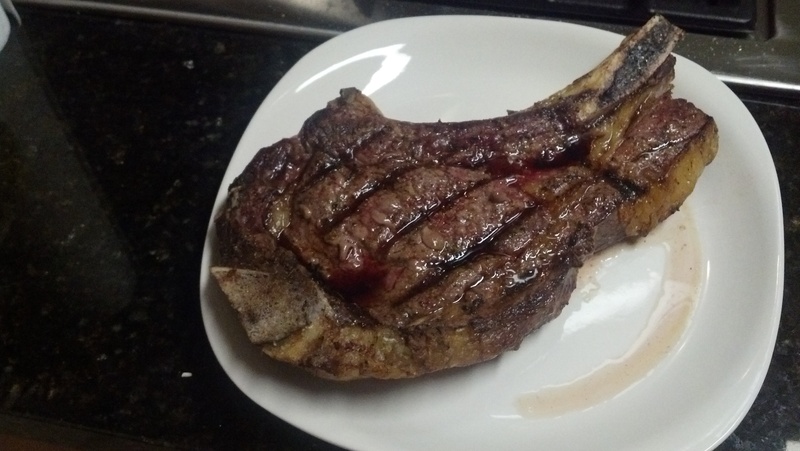 We decided to take advantage of the nice weather and grilled a tasty ribeye steak we received through our meat CSA. It was a pretty large piece and definitely way more than enough for the 2 of us. Although we were pretty full from the dinner, that did not deter me from making our baked apples dessert. Stuff each apple with 1/2 tbsp of butter and then brown sugar. Place all apples in a baking dish with a little water on the bottom of the dish (you could even put some apple cider instead of water). 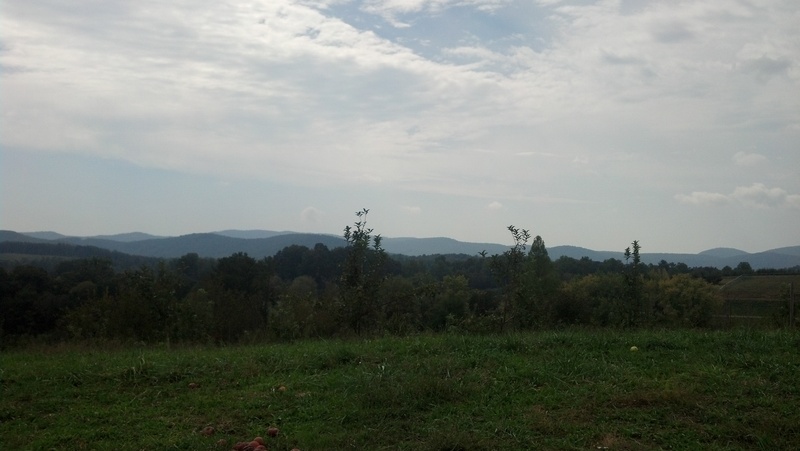 After spending most of the morning/early afternoon in the orchards, we grabbed some lunch and met up with other people to run through a corn maze. This was another first for me. I’ve been on hayrides in college but never went through a corn maze. This maze was fun because at each turn they had 3 trivia questions that you had to answer. Based on your answer it would tell you which direction to follow. If you answered incorrectly, it brought you back to where you started. I thought this made the maze a lot more fun then just running around and guessing which way to go. We eventually drove back to Atlanta brainstorming different ways to prepare our apples. 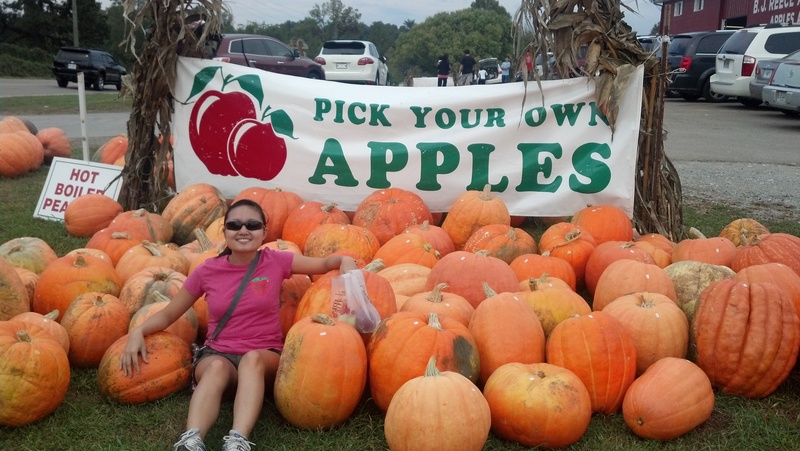 While it felt like summer most of the day with the warm temperatures, I’m glad I finally had a chance to do these fall activities!